Gramophonic is an Americana group from the U Street-Columbia Heights area of Washington DC. Their cello, accordion, mandolin, guitars, big harmonies, and rollicking live shows around the city celebrate the love of raw, visceral acoustic music. 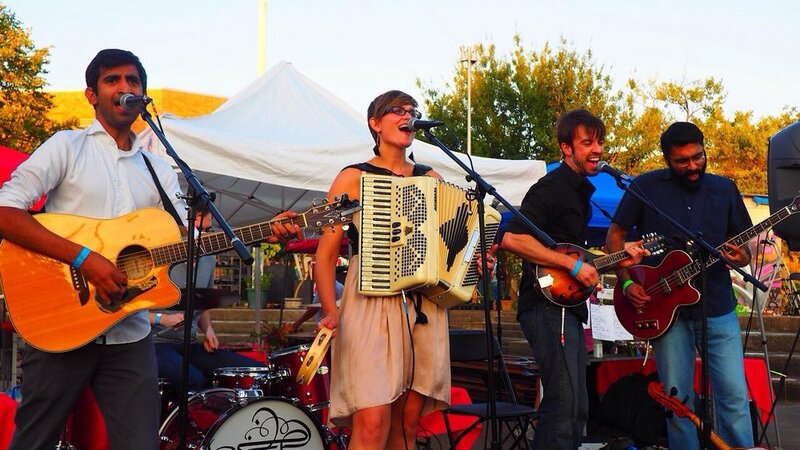 Formed in 2011 while jamming on a back porch and honing its skills for months at open mic nights, the band worked its way up to the 3- and 4-hour concert-carousals for which it is now known. Gramophonic shares a passion for the stories and cultures of China, India, and Afghanistan, and its songs explore members’ past lives in these countries through the American folk, blues, and roots music they grew up with.